This article will elucidate the growing need for validated high quality cell therapy starting material and examine the impact of cell collection methods and apheresis techniques on starting material quality and ultimately, therapeutic potency. One of the most critical first steps in the development of cellular therapies is optimizing the quality of the biological starting material. As cell therapy products progress towards commercialization, engineering challenges increase along with the increased number of patients and collection sites. The goal of apheresis in the clinical manufacturing context is to have a consistent, robust process that is optimal for the therapeutic product, without sacrificing the safety and comfort of the donor. Ideally, the process can be used to lessen requirements on the starting material, by imposing separation protocols during collection that minimize downstream handling. Apheresis device selection and collection protocols vary by application and clinical need. This article will present an overview of select cell collection procedures and apheresis instrumentation and methods used in cell therapy development and manufacturing, along with other factors that can be used to optimize apheresis-derived starting material. How does cellular starting material variability impact downstream product quality? Cell therapy is a rapidly expanding industry with enormous medical potential. Recent FDA approvals of chimeric antigen receptor (CAR) T cell therapies Kymriah® (Novartis; Switzerland) and Yescarta® (Kite, a Gilead Company; CA, USA) mean that for the first time T cell-based immunotherapies are commercially available. The increasingly large number of cell-based therapies in clinical trials demonstrates a significant investment of both monetary and human resources from all corners of the world. Cell therapies have successfully surged into the medical arena, but have not yet expanded to a large, global patient population. If these “living” therapies are to thrive commercially, the industry must take steps to assure that the starting material for these products achieves a consistency and reliability that supports global expansion, while adhering to the same strict guidelines of safety and efficacy pertinent to any other FDA approved drug on the market. Quality medical products start with quality raw materials, whether those “materials” are a set of chemical reagents or the living cells that form the basis of a CAR-T cell treatment . The cells at the root of these therapies are collected from donors; autologous therapies start with cells from the patients themselves, while allogeneic therapies start with healthy donors whose physiological parameters closely match those of the patient. Cells are donated via a process called apheresis, where donated blood is separated into its components as it is being collected. When cells are collected for autologous therapy, as is usually the case for a stem cell transplant or CAR-T cell treatment, the number of viable therapeutic cells is often severely impacted either by the disease itself , or by treatments such as chemotherapy and radiation, which can significantly lower the number of healthy target cells per apheresis unit. In such cases, it may be necessary to resort to healthy, matched, allogeneic donors in order to have adequate cellular material. For autologous donors, this may mean that the apheresis collection must be performed over two or even a series of successive sessions, which is physically and psychologically stressful to the patient. When dealing with allogeneic donors, obtaining multiple apheresis products is expensive and represents a significant resource investment in an ongoing project. Access to valued allogeneic donors who are dependably available for repeat apheresis collections can, therefore, be critical to a clinical trial or therapeutic program. Since cell therapy products are intrinsically variable, commercial scale-up or scale-out is challenging. Maintaining product consistency across multiple processing steps and multiple manufacturing and clinical sites is critical. A study published in 2016  characterized bone marrow-derived human mesenchymal stem cells (MSCs) derived from different donors and found that in spite of the fact that each donated unit was required to meet minimal criteria proposed by the ISCT for MSCs , there were differences in key characteristics, including cell growth potential and IL-6 production. The authors speculated that these differences were more than enough to impact batch production timing during manufacture of a cell therapy. Another study, reporting on the effects of genetic variability on stem cell differentiation, showed that inter-donor variability had a greater impact than parental cell type on induced pluripotent stem cell differentiation potential. The authors concluded that biorepositories set up for the purposes of modeling human disease and cell therapy development should, therefore, include samples from as many different donors as possible to account for observed differences . Whether one is considering cell viability, purity or variability issues, the quality of cellular starting material is of vital consideration during cell therapy development. It is pertinent to understand how cell collection practices and apheresis devices affect the overall quality of the apheresis products that form the basis of cell therapies. Today, peripheral blood is most commonly used as the source for both stem cell transplantation and T cell-based cancer immunotherapy; the exception to this is pediatric patients, where bone marrow-derived cell collection is still preferred. Fundamental advances in stem cell mobilization techniques, as well as cell separation and sorting methods, made it practical to isolate these high value cell types from peripheral blood rather than bone marrow. Peripheral blood is often preferred because not only is it easily obtainable and donors can be readily recalled, but also mobilized peripheral blood stem cells tend to engraft more rapidly than non-mobilized bone marrow-derived stem cells . A great deal of research has focused on the efficient collection of stem cells and immune cells for cell therapy research and clinical use. [14, 15] Since hematopoietic stem cells are primarily located in the bone marrow rather than the peripheral circulation, the first step in stem cell collection procedures is to have the donor undergo a treatment regimen that mobilizes these stem cells into the peripheral blood. This process will vary according to what the patient can best tolerate based on their age, weight, health requirements and other parameters. Different mobilization methods are recommended by the American Society for Blood and Marrow Transplantation  for various patient categories. Typically, either granulocyte colony stimulating factor (G-CSF), plerixafor, or some combination of G-CSF with plerixafor is used for mobilization, but the specific methods utilized by various transplant programs can vary widely. Optimal collection timing is based on peak peripheral blood CD34+ cell count, which is either predicted from past experience with the mobilization protocol or actively tracked during the mobilization period. A successful stem cell treatment requires a stem cell dose of between 2-5 X 106 CD34+ cells/kg body weight, so collections are usually classified as low to optimal depending on the total CD34+ cell count per collected apheresis unit. Once the apheresis product is collected, it is often cryopreserved to maintain cell viability and potency prior to further processing for transplantation or cell therapy development. Apheresis collection for CAR-T cell therapy is different from stem cell collection in several aspects. Collection is from non-mobilized donors, with the goal of obtaining a product enriched for T cells. 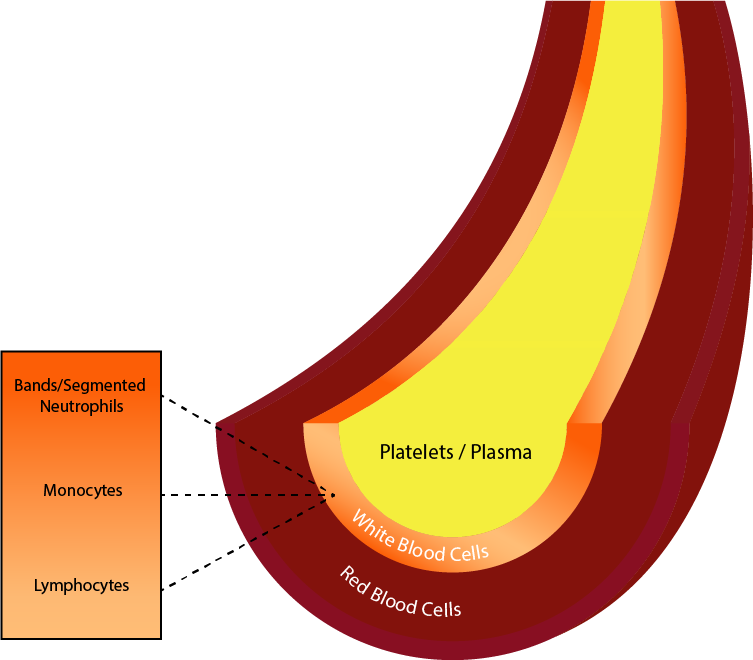 During apheresis, T cells and other leukocytes are collected by differential centrifugation from the peripheral blood mononuclear cell layer . This layer primarily contains lymphocytes, along with monocytes and a small percentage of dendritic cells. The T cell collection for the current FDA-approved CAR-T cell therapies is autologous, and the donors have already been heavily impacted both by their cancer and by traditional courses of treatment, namely radiation and chemotherapy. For this reason, it can be difficult to meet the number of T cells required for treatment. Obtaining apheresis material with adequate CD3+ T cell populations is critical to the manufacturing process and the outcome of the therapy. Where do apheresis devices and methods fit into best practices? In the world of cellular therapy, apheresis more often than not refers to leukapheresis, which is most frequently used to collect either hematopoietic stem cells for transplant and regenerative medicine, or immune cells for immunotherapy. Apheresis for cell therapy is generally achieved by continuous flow centrifugation, in which there are two venipunctures, one for collection and one for re-infusion of the patient’s blood following centrifugation and harvesting of the desired component. The two different continuous flow apheresis devices used most commonly to perform apheresis for cell-based therapies are the Spectra Optia (Terumo BCT Inc; CO, USA) and the Amicus Cell Separator from Fenwal Inc/Fresenius Kabi AG (IL, USA). While these systems are similar in function, they offer unique features in multi-procedure capabilities, product volume, automated programming capabilities, data management and blood component separation that may inform their suitability for a given clinical program. Several studies have found no significant differences in the number and purity of target cells collected between the Spectra Optia and Amicus Cell Separator devices and no significant differences in patient outcomes. [14, 24, 25] The Fesnak study (2016) did find the Spectra Optia to have a higher collection efficiency, with lower red blood cell counts and lower product volume, while the Loeffler study found the Amicus to be better at platelet conservation. The Spectra Optia has been updated from its predecessor, the COBE Spectra (Terumo) to minimize the saline replacement and rinse back volume, making the apheresis procedure safer and more comfortable for the donor . The apheresis procedure itself, while it incorporates automated elements, requires an in-depth understanding of the many factors that contribute to a successful collection. The goal of the procedure is to collect a product with an optimal target cell count and low presence of contaminating cell types in as low a volume as possible. The apheresis nurse must thoroughly understand the apheresis collection device operation and be able to adjust run parameters as needed during collection. The clinician must understand the overall apheresis procedure and be able to educate the patient about what to expect in terms they can understand. They must be able to place and manage a centrally or peripherally inserted venous catheter and understand, in particular, the importance of venous access procedures and blood volume maintenance, especially if dealing with pediatric patient-donors . The apheresis nurse must anticipate any mobilization-related adverse events and be able to manage them appropriately and in a timely manner. They need to be able to judge the optimal collection timing and be aware of stem cell or immune cell collection target levels as well as collection volume limits. In short, the apheresis nurse needs to be highly trained and highly competent. The human face of this reality can be found in the story of apheresis nurse Kimberly Schuetz, whose own young son Austin was one of the first leukemia patients successfully treated by CAR-T therapy. Kimberly insisted on hand-picking Austin’s apheresis nurse herself, fully understanding how important that procedure would be to her son’s survival. Since training and instrumentation can vary widely from site to site, commercial manufacturers of cell therapy products should ideally standardize apheresis collection parameters across apheresis collection sites and treatment clinics . Consistency and quality of cellular starting material are key components of successful cell therapy development. Scale-up of these products from clinical trial to commercial production presents manufacturers with the challenge of ensuring production efficiency while maintaining safety and efficacy. Apheresis product variability is cited as one of the major reasons cell therapy products fail manufacturing runs. Most often, this is due to not hitting target therapeutic cell yields needed to ensure product potency , either because of low numbers in the apheresis product or poor cell selection results after the initial processing steps. Since it will be imperative to have a consistent, robust product for large-scale manufacturing of cell therapies, steps need to be taken by the industry in general to ensure overall quality of the apheresis products that comprise the starting material for many of these novel therapies. Standardization of apheresis center training, equipment and protocols, along with access to a large, diverse and reliable donor network, is one way that manufacturers can help ensure consistent process development. Fortunately, cell providers are becoming more aware of these issues. HemaCare will be expanding their capabilities in 2019 and moving to a new state-of-the-art GMP collection and processing facility with four qualified cleanrooms. This new facility will increase their ability to offer more GMP grade cells, tissues and services. The new sterile manufacturing facility, as well as the expanded onsite donor center, will support the research, scientific and clinical community by providing high quality, GMP compliant, cell therapy starting materials. Drug-specific cell separation protocols for apheresis devices are also helpful. Part of designing an apheresis cell collection program is understanding the overall goal; in some cases, it is appropriate to emphasize product volume or overall yield, while in others it makes more sense to emphasize cell separation and product purity. Flow rates and centrifugation speeds may need adjustment to reflect such goals. Cell therapy manufacturers should ensure apheresis collection facilities maintain a comprehensive quality management program. The quality program should ensure process control is maintained during all aspects of the collection. It should also ensure there are defined processes in place for the management of equipment, training, vendors, materials, SOPs, non-conformances/deviations and validation/qualification programs. A strong quality management system along with stringent process control helps to ensure high quality collections. In the future, the cell therapy field may expect to see multiple manufacturing pathways to capture value from apheresis products with differing composition, along with more stringent requirements for product purity. Upcoming changes are also likely to include greater reliance on allogeneic donors to allow for “off-the-shelf” cellular therapies, greater incorporation of automation, and “next-generation” manufacturing platforms to assist in product reliability and scale-up. Dominici M, Le Blanc K, Mueller I et al. Minimal criteria for defining multipotent mesenchymal stromal cells. The International Society for Cellular Therapy position statement. Cytotherapy. 8(4): 315-317 (2006). Duong HK, Savani BN, Copelan E et al. Peripheral Blood Progenitor Cell Mobilization for Autologous and Allogeneic Hematopoietic Cell Transplantation: Guidelines from the American Society for Blood and Marrow Transplantation. Biol. Blood Marrow Transplant. 20: 1262-1273 (2014). Loeffler P. Mononuclear Cell Collections Using the Fenwal Amicus ® : A year of learning. ASFA 2015 Regional Meeting Seattle, Washington. Meyer EK, Wong EC. Pediatric Therapeutic Apheresis: A Critical Appraisal of Evidence. Transfus Med Rev. 30(4): 217-22 (2016).